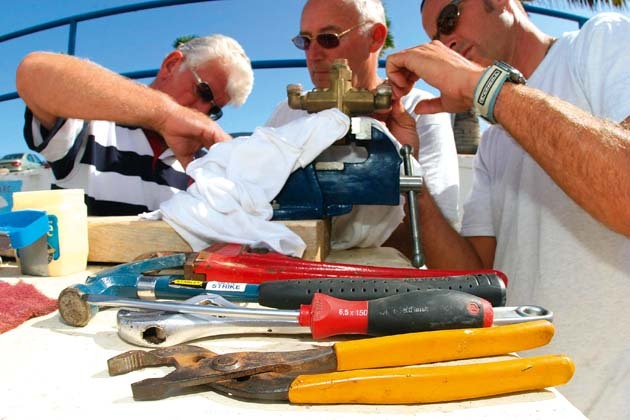 As this year marks the 30th running of the Atlantic Rally for Cruisers (ARC), which Yachting World helped set up back in the 1980s, we are looking back at a period when the dream of crossing the Atlantic to the Caribbean became a mainstream ambition. An ocean passage is something very special, and is rightly on most serious sailors’ wishlists. The same period has seen huge advances in yacht design, navigation and safety equipment. While these undoubtedly make the landfall part of ocean passagemaking easier, the ocean sailing itself is still a huge challenge that requires careful planning. If anything, the plethora of equipment and yacht choices poses a modern dilemma: what boat should you choose and what equipment do you really need or could (perhaps should?) do without? As the ARC attracts people to come back time and time again, it provides a pool of very deep knowledge from those sailors who have crossed the Atlantic at least once and often gone very much further. So for this feature we turned to skippers who have multiple crossings behind them, up to 15 in one case and in a variety of yachts, in the context of the rally and outside it, and asked their views on preparation and priorities. This gives a commonsense overview of how to plan for different sizes of yacht and numbers of crew. Allan Dobson owns a Rustler 42, Carrick, and has sailed across the Atlantic east-west three times, twice on the ARC. 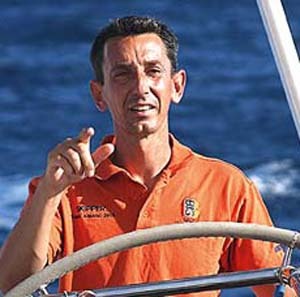 He has made many ocean passages, including from the UK to Hong Kong, in the Pacific and throughout the Mediterranean. 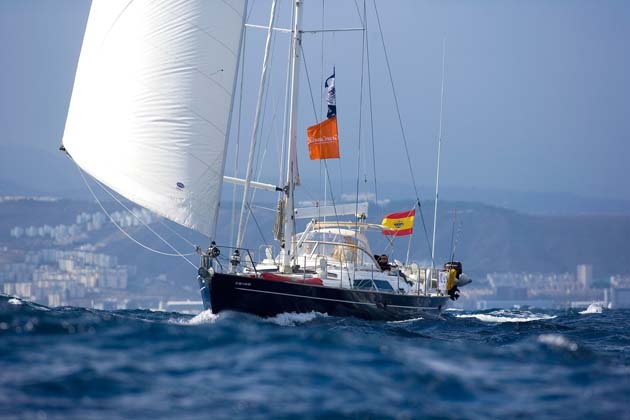 Stephen Kingsman has sailed across the Atlantic five times in Sumore 2, his Lagoon 570, three of these in ARC rallies. He has owned the boat since 2006 and covered 30,000 miles. 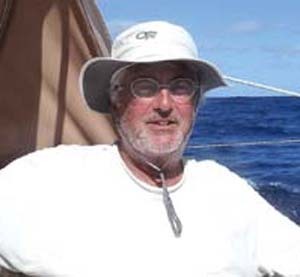 He started sailing in the early 1970s and has owned a variety of monohulls and multihulls, sailing extensively in Europe, the Med, the Atlantic, the Caribbean and along the East Coast of America. 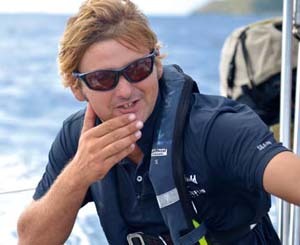 Kurt Lillywhite has been sailing since the age of four. 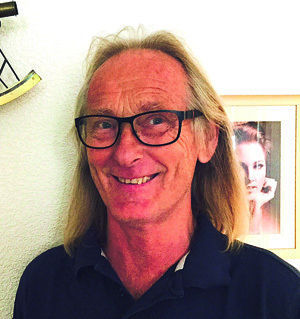 He has skippered many yachts over the years; the last ten have been 70ft-plus yachts doing a Caribbean circuit each year and averaging around 20,000 miles per year. 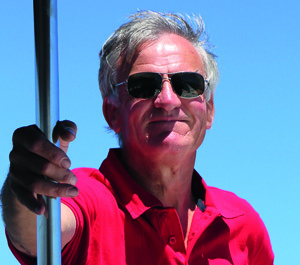 Paul Redman worked with Prout Catamarans for 20 years, then owned a boatyard for 15 years, where he built his boat, Pelican, a Quasar 50 with a larger than standard rig. He has crossed the Atlantic eight times, three on the ARC, and sailed his boat all over Europe, from Norway, Holland, France, Ireland, Spain and Portugal. Dan and Em Bower have run their 51ft Skyelark of London as a charter yacht for the past seven years and have made some 12 transatlantic crossings and covered over 70,000 miles. Prior to that they both worked as charter skippers and sailing instructors and Em has sailed in yachts as varied as a Challenge 67 cruising to Antarctica and an Open 60. What’s the right yacht for a crossing? There is simply no such thing as the ideal yacht for every situation, and the ideal yacht for an east-west Atlantic crossing might not be the same as one you’d choose for the return passage via the Azores. But what is very interesting to look at is statistics from the ARC, which show us which type of yacht a majority of bluewater cruisers actually choose when decision time comes. In the ARC, the largest group of yachts undertaking an Atlantic crossing each year, the median size is now 46ft 9in. Only 13 per cent of the fleet is under 40ft and the greatest concentration is in the 40-50ft band, with one in five between 50 and 60ft. And of these, a majority are comparatively new yachts and modern designs. The median age of boat last year was seven years old, and among most popular manufacturers were Jeanneau, Beneteau and Oyster. So taking the statistics as a guide, a well-prepared series production yacht of, say, 48ft or so, is now considered the optimum size for long-distance cruising. Kurt Lillywhite, who has sailed across on several types and sizes of yacht, reflected why that 45-50ft segment is so popular: ‘Having crossed the Atlantic on a variety of yachts over the years, I believe that around the 50ft size is perfect for a group of family and/or friends. That is big enough to be a solid base in tougher conditions, but small enough for sails to be easy to handle, the systems are simple enough for non-professionals to learn, understand and fix at sea should problems arise. Don’t end up with one that rolls! 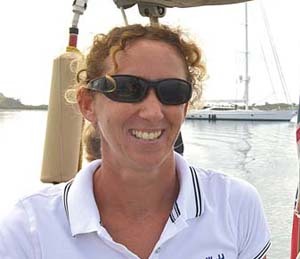 Em has also skippered many offshore and ocean passages on a 52ft Jeanneau and advises: ‘For heading back to Europe, I would want something solid and strong as opposed to a lightweight racer. Comfort is often preferable to speed on a long voyage. Good ocean boats include Hallberg-Rassy, Oyster, Swan, X-Yachts, Amel, Bowman, etc. Production yachts such as Jeanneau, Beneteau or Bavaria will do the job happily, but will tend to slam upwind on the way home. 2. What’s the best equipment? 3. 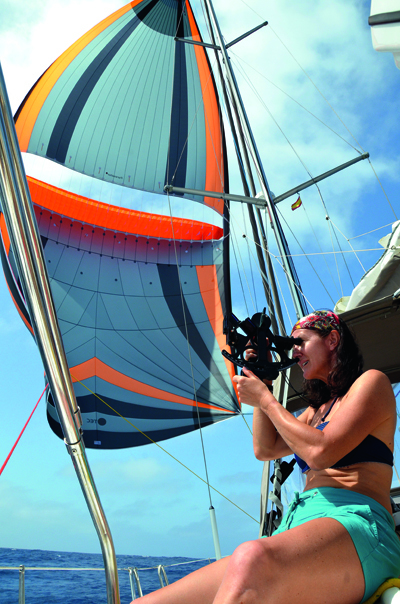 What about downwind sails?